← Should Executives Start To Actively Build Their Online Presence ? In previous post I was talking about “How To Deal With Your Aging Fears And Move Forward” and got some questions regarding the number of cosmetic procedures in both men and women. The American Society for Aesthetic Plastic Surgery (ASAPS) released their 15thannual multi-specialty procedural statistics. Almost 9.2 million cosmetic surgical and nonsurgical procedures were performed in the United States in 2011. If the number of cosmetic surgery procedures increased in men, women are still counting for 90% of the total surgeries. Americans spent nearly $10 billion on cosmetic procedures in 2011. Of that total $6.2 billion was spent on surgical procedures. These numbers show how much pressure the society is putting on physical appearance, especially among baby boomers (those born between 1946 and 1964). One reason could be the increasing number of baby boomers looking for love online. CNN reports that internet dating sites are the most popular way people are finding companions and those over 50 are the fastest growing segment of eHarmony’s users. However the American Society for Aesthetic Plastic Surgery (ASAPS) reported that “adults between the ages of 31 and 45 (generation X) accounted for 43% of all cosmetic procedures in 2010. Baby boomers, aged 51 to 64, who do in fact have more expendable income, accounted for just 28% of such procedures. Read more here :News Releases – Statistics, Surveys. This entry was posted in American Culture, babyboomers, Coaching, Life coaching, Well being and tagged Abdominoplasty, American Society for Aesthetic Plastic Surgery, breast augmentation, cosmetic procedures, eHarmony, face lifting, liposuction, Plastic surgery, United States. Bookmark the permalink. plastic surgery procedures these days are getting more and more popular because everyone wants to improve their appearance.. The argument that the current generation are the only one who are addicted on cosmetic surgery is totally outrageous. I guess, if these technologies were invented before than of today, the number of getting cosmetic surgery will be the same. Because i believe the human desire to look beautiful will never change across generations. Anne, the study doesn’t say that generation X is addicted to cosmetic surgery, there is no judgement about the number of procedures performed today 41 % versus 28% for baby boomers. However I agree with you that the difference may be due to a negative perception about using cosmetic surgery among 45+ year old because cosmetic procedures were not very common or too expensive when they were younger. i don’t understand why baby boomers look for these surgery more as physical appearance matter to all same way. nice post with true statistics. 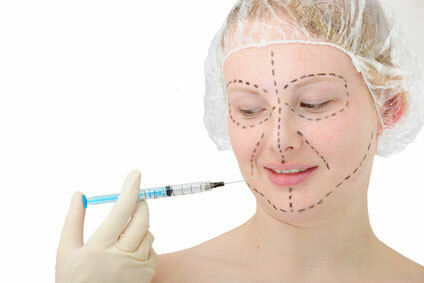 Now-a-days cosmetic surgery are increasing because of celebrity. Thanks for sharing your informative article. I think the reason for this increase is the amazing results celebrities had with the help of plastic surgeries. Even if most of them deny having something done, a qualified person can tell if there’s a change only by seeing some before/after pictures. My doctor from Edelstein Cosmetic told me that even if you go to the most skilled surgeon people will see his work so there’s no need to hide, lie or deny because there’s nothing wrong with changing something you don’t like. Thanks Flory, I do understand people who want to change their appearances by doing cosmetic surgery, The only thing is to make sure you are doing it for the right reason. If you want to find love by putting breast implants, I am not sure it is going to work. Wow a 9% increase? i expected a large increase this year but 9%! Hi Sami, not 9% increase, only 1% increase for plastic surgery only but 13% increase in the total number of liposuction procedures with over 300,000 procedures performed. 9% is the total number of procedures in 2011 for men.